Intranasal administration of benzhydrocodone, a prodrug of hydrocodone, was shown to be associated with reduced hydrocodone exposure and decreased drug liking, compared with hydrocodone bitartrate, according to a recent study published in Pain Medicine. In this single-center crossover study, healthy nondependent recreational opioid users were randomly assigned to receive the active pharmaceutical ingredient (API) of intranasal benzhydrocodone (13.34 mg) followed by hydrocodone bitartrate API (15.0 mg), or the opposite sequence. A 72-hour washout period separated each treatment. Hydrocodone plasma concentration and drug liking scores based on a bipolar visual analog scale were compared between groups. Study participants who received benzhydrocodone had 36.0% lower peak hydrocodone plasma concentration compared with those who received hydrocodone bitartrate (P <.001). Similarly, benzhydrocodone administration resulted in lower total hydrocodone exposure, assessed with the area under the plasma drug concentration-time curve (AUC), with a 20.3% reduction for AUClast and a 19.5% reduction for AUCinf (P <.001 for both). The median time to maximum observed plasma concentration was longer for benzhydrocodone compared with hydrocodone bitartrate (1.75 vs 0.50 hour; P <.001). The maximal drug liking score — evaluated using a visual analog scale — was lower after benzhydrocodone administration compared with hydrocodone bitartrate (P =.004). 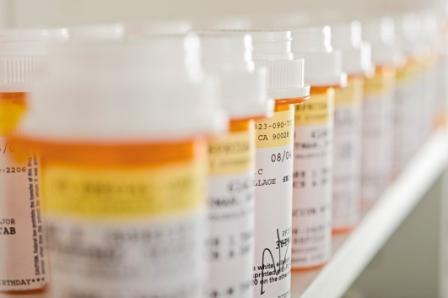 Within-subject comparisons revealed that 69% of participants had reduced drug liking with benzhydrocodone compared with hydrocodone bitartrate. Overall, a total of 43% of participants had at least a 30% reduction in drug liking, and 29% had at least a 50% reduction in drug liking. The rates of treatment-emergent adverse events were similar between the groups (30.8% for benzhydrocodone vs 27.8% for hydrocodone bitartrate). Dr Barrett reports being employed by and being a stockholder in KemPharm, Inc.